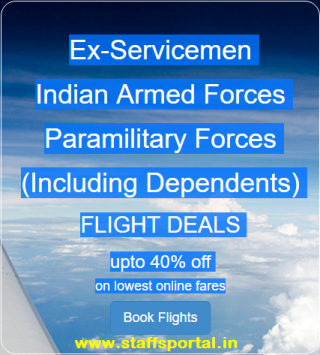 Paramilitary Forces: Use the coupon code provided to your unit. Please contact your local unit commander to get the coupon code. If your unit has not received it yet, please call our customer care. SSB candidates check your email for booking link. Click on the link in the email to view best-discounted flights.